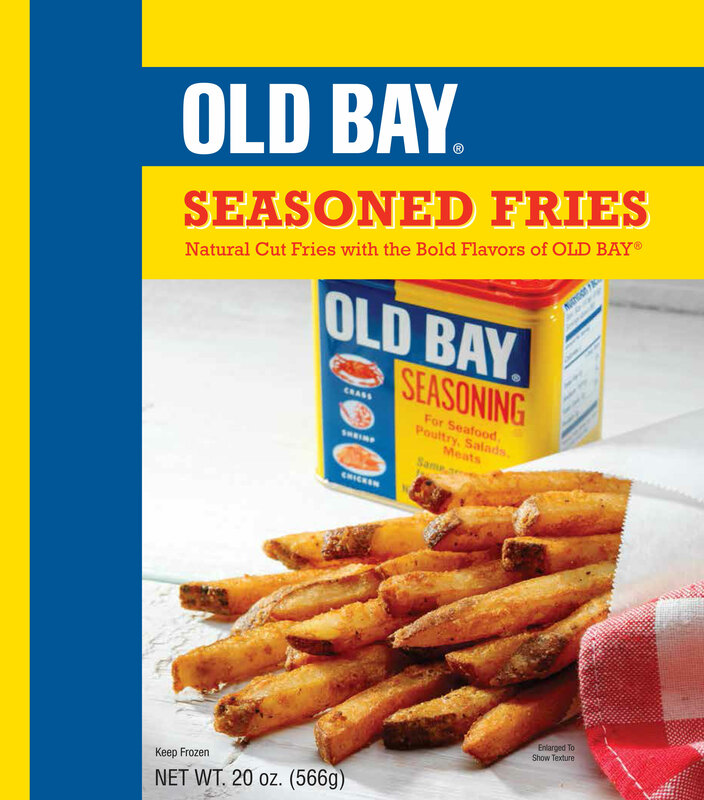 Natural cut and seasoned with just the right amount of bold OLD BAY flavor, these fries are classic perfection. With its iconic blend of 18 herbs and spices, OLD BAY Seasoning adds zest to each crispy, mouth-watering bite. IDAHO® POTATOES, BATTER (WATER, UNBLEACHED ENRICHED FLOUR (WHEAT FLOUR, NIACIN, REDUCED IRON, THIAMINE MONONITRATE, RIBOFLAVIN, FOLIC ACID, SALT, CORN STARCH, CORN FLOUR, CORN MEAL, SPICES, PAPRIKA, DEHYDRATED GARLIC & ONION, SODIUM BICARBONATE, SOYBEAN OIL, YEAST EXTRACT, SODIUM ALUMINUM PHOSPHATE, EXTRACTIVES OF BLACK PEPPER, PAPRIKA, AND CELERY), CANOLA AND/OR SOYBEAN OIL. licensed to Mr. Dee’s, Inc.